The exhibit Ecos: Resonances of South Carolina Latino Stories will be on display at the Lipscomb Gallery on the campus of the SC Governor’s School for Arts and Humanities from October 8 – November 3, 2018. 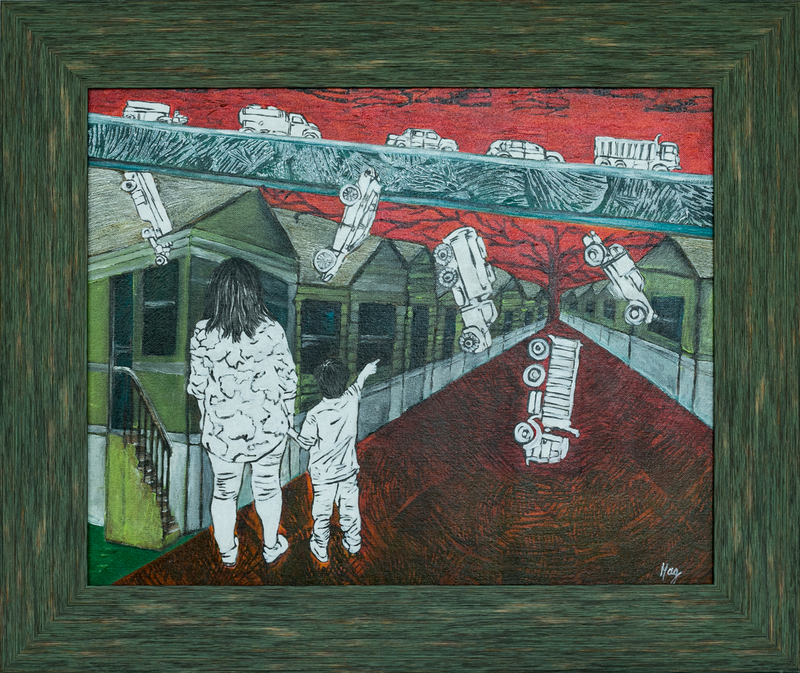 This collaborative multimedia art exhibition featuring the stories of Latino immigrants in the Lowcountry interpreted by 20 select Latino South Carolina visual artists. The Citadel Oral History Program collected the immigrant stories between 2012 and 2014. SC Humanities supported the original oral history project as well as the current exhibit through our Major Grant program. Visitors to the exhibition have the opportunity to listen to each audio story and read its transcription as they view the artwork inspired by it. From 2012 to 2014, The Citadel Oral History Program conducted interviews documenting the experiences of South Carolina’s Latino immigrants living in the Lowcountry for a program called Las Voces (The Voices). Ecos expands on Las Voces and its assertions of the basic humanity of Latino immigrants to shine light on the power and range of the stories of the people in these often marginalized communities. An Artist Talk with Paola Ruiz Torres, Dalia Delanuez, Yelitza Diaz, and Diana Farfan, will be held at 4:30 p.m. on October 17. The Lipscomb Gallery is located on the campus of the S.C. Governor’s School for the Arts and Humanities, 15 University Street, Greenville, SC, 29601. Guests are asked to sign in at the Visitor’s Center upon arrival. Gallery hours are Monday through Friday, 10 a.m. to 4:30 p.m.
For more information about the exhibit, visit the website at: http://ecoscarolina.com/. Learn more about the Citadel Oral History program.